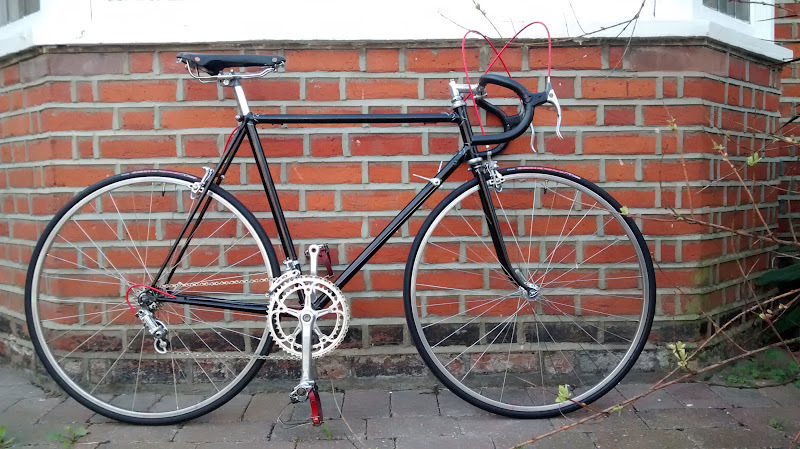 New project for this year - Holdsworth Cyclone, according to serial number (12593) made in 1951 or 1952. It had some customization made - few braze-ons added and track ends swapped for vertical dropouts. It's long term project for sure. At last on wheels.. built up There are few parts borrowed from my other bikes but until end of the week everything should be finished, I hope so. Gorgeous frame. Not keen on those tyres at all. Thanks I know that it would look nicer on amber wall, but for now I use what I have. I'm not so sure about rebuilding it as a track bike now... I really like it like it is. Just in opposition to hipseters trends to change road bikes into fixies, hehe. I know about london chroming and probably will visit them when my wallet will be prepared for it. A few changes... added decals, maybe I will go for slightly different style in final build and proper paintwork, but for now this set. SR chainset changed for other, with flutted arms (previous was borrowed from my other bike), amberwall tyres. It's waiting for new handlebar (Cinelli Giro d'Italia) and headset (Gnutti or Campag SR). Cable outers I'm going to change for stainless steel or just black. 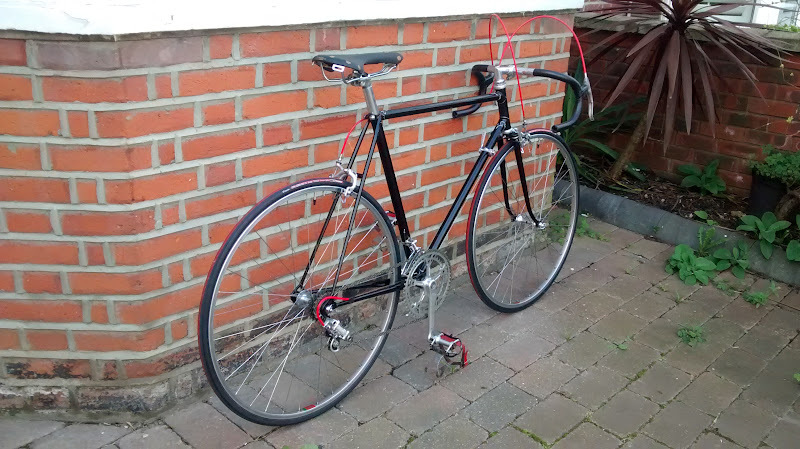 I'm thinking about colours for the final paintwork and I think it will stay black with red/burgundy panel on the seattube, maybe headtube. Gold or white lug lining. I have a metal headbadge to fit (younger that the frame, but style didn't change that much).